VANCOUVER, October 12, 2017 – According to the Royal LePage House Price Survey 1 released today, sales activity and consumer confidence across the Greater Vancouver residential real estate market continued to recover in the third quarter of 2017. While home price appreciation softened in the detached segment, condominiums continued to prop up the region's real estate market, thanks in part to their relative affordability. During the quarter, the aggregate home price in Greater Vancouver rose by a modest, but healthy 2.5 per cent year-over-year to $1,229,133. When broken down by housing type, the median price of a condominium surged by 17.6 per cent year-over-year to $622,392, while the median price of a bungalow appreciated by 3.5 per cent year-over-year to $1,422,458. Meanwhile, the median price of a standard two-storey home fell, dropping 1.1 per cent to $1,532,849 over the same period. During the quarter, affordability constraints drove many prospective purchasers into the condominium market, placing a severe strain on inventory levels and intensifying competition within the segment. New mortgage regulations, which were introduced in October of last year, only compounded this trend, limiting consumers' purchasing power and pushing many down into the entry-level segment of the market. As prices continue to rise, and the affordability that remains within the marketplace deteriorates, prospective homeowners previously on the sidelines are returning to the market in fear of being permanently priced out. "Despite having already taken 30 to 40 per cent of entry-level buyers out of the marketplace entirely, the new mortgage regulations, and requisite stress tests, have helped to significantly drive condominium prices up," said Randy Ryalls, general manager, Royal LePage Sterling Realty. "The cost of a down payment for a detached property in Greater Vancouver has already surpassed the average home price in many markets in Canada. Prospective purchasers have redirected their a ttention to condominiums, vying to enter the market before prices rise to levels that are simply beyond their reach." "Frankly, an adequate amount of inventory could help to ease this trend, but there is simply not enough supply within the marketplace to satisfy current demand levels," added Ryalls. Aggregate prices are calculated using a weighted average of the median values of all housing types collected. Data is providedby RPS Real Property Solutions. "Historically, a balanced market in Greater Vancouver needs roughly 14 to 15 thousand listings to run smoothly, yet currently, we have about nine thousand. As a result, many homeowners within the region have decided to find their next residence prior to listing their home, as they are wary of finding an adequate upgrade, which is in turn contributing to the shortage in supply." Though current conditions have not been kind to those seeking to break into the Greater Vancouver real estate market, they have helped many move-up buyers currently in condominiums and entry-level residences afford a detached home. As these two segments continue to rise at relatively high rates, and two-storey home values moderate, the price gap between them continues to narrow, allowing purchasers to capitalize on the current disparity in price appreciation within the marketplace in order to move into larger, detached homes, particularly within suburban areas where properties are more affordable. "Recently, many move-up buyers residing in condominiums across Greater Vancouver have elected to take advantage of the current price softening in the detached market, capitalizing on the narrowing differential to find a much larger home for their family," concluded Ryalls. "In the last year alone, the gap between the two segments has shrunk by roughly $110,000, meaning that purchasers have more power at the negotiation table thanks to current market headwinds. When looking to move into regions that are more affordable, this trend only becomes more pronounced." During the third quarter of 2017, the residential real estate market in City of Vancouver posted modest gains, rising 2.2 per cent year-over-year to $1,439,652, as the condominium market continued to prop up the region's aggregate home value. While purchasers from across Greater Vancouver largely elected to remain within the metropolitan area, strong economic growth prospects and affordable home prices enticed many residents within the downtown core to capitalize on their properties' pre-existing value and look to Kelowna and the Okanagan Valley to retire or raise a family. In West Vancouver, Canada's most expensive market, high home values continued to l imit sales activity and price appreciation within the region. During the third quarter, the area's aggregate home price experienced the largest decline of any market studied across Canada, falling 8.7 per cent year-over-year to $3,026,136. While condominiums experienced a slight uptick within the three-month period, the median price of a two-storey home witnessed a double-digit decline, with its value falling by 10.1 per cent year-over-year to $3,431,446. Many purchasers continued to flock to North Vancouver in search of property near the downtown core in the third quarter of 2017, pushing the aggregate home price within the region up by 4.5 per cent when compared to the same time last year, rising to $1,417,226. Though high home values continued to curb sales activity and appreciation within the detached marketplace, the region's condominium prices outpaced all other markets in the greater metropolitan area, rising 25.2 per cent year-over-year to $614,173. The aggregate home price in Richmond remained relatively flat during the third quarter of 2017, inching up by 1.4 per cent year-over-year to $1,103,064. When compared to all other regions surrounding the downtown core, the area's residential real estate market floundered, as many purchasers looked southeast to Surrey, Langley and Coquitlam instead for relative value. With house prices continuing to reach new heights across most of the Lower Mainland, many prospective homeowners in Burnaby and Coquitlam adjusted their expectations in the third quarter of 2017, re-entering the market in search of affordable properties before they completely disappeared. During the quarter, the aggregate price of a home in the two regions rose by 6.3 per cent and 6.8 per cent year-over-year to $1,078,227 and $1,026,824, respectively. The residential real estate market in Surrey is no longer in recovery. In the third quarter of 2017, the region's aggregate home price climbed 6.3 per cent year-over-year to $796,466. During the summer months, retirees and foreign buyers began to flock back into the market, as slower rates of appreciation experienced at the beginning of the year made the region more attractive for those looking to downsize, and helped to curb the effects of the 15 per cent land transfer tax on foreign nationals. During the third quarter, Langley witnessed the most pronounced year-over-year aggregate house price increase of any region studied in Greater Vancouver, with its median home value climbing 9.2 per cent year-over-year to $831,283. While the region's two-storey market showed continued strength, rising 8.7 per cent over the same period, affordability concerns caused purchasers to look for alternative options, leading many to search for property in the region's condominium market, or if work permitted, further east to areas such as Abbotsford and Chilliwack. 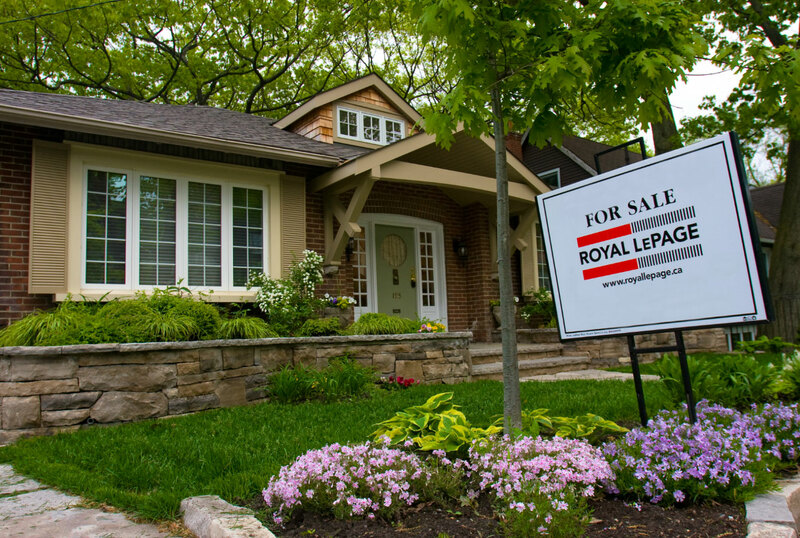 Nationally, the Royal LePage National House Price Composite, compiled from proprietary property data in 53 of the nation's largest real estate markets, showed that the price of a home in Canada increased 13.3 per cent year-over-year to $628,411 in the third quarter. When broken out by housing type, the median price of a standard two-storey home rose 13.9 per cent year-over-year to $748,049, and the median price of a bungalow grew 9.5 per cent to $525,781. During the same period, the median price of a condominium rose 15.2 per cent to $413,670. Meanwhile, on a quarter-over-quarter basis, home prices in Canada's five most populated housing markets are rising at a similar, healthy pace – the first time this has occurred in six years. "Uneven regional economic growth has plagued Canada for much of the past decade, a challenge most evident in the nation's housing markets," continued Soper. "For the first time since 2011,we are seeing real estate in all five of our largest cities appreciate at a manageable, healthy clip. Canadian housing is enjoying a Goldilocks moment – not too hot, and not too cold."